Seventy-five years ago today, 13 July 1939, the Access to Mountains Act 1939 received royal assent. My predecessor at the Open Spaces Society, Sir Lawrence Chubb, had a big hand in this but it is nothing to be proud of. We can only feel relieved that the act was repealed ten years later by clause 84 of the National Parks and Access to the Countryside Act 1949 without ever being applied. 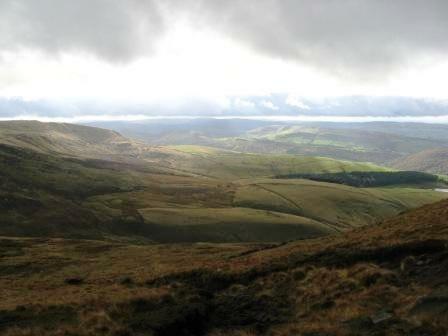 In summary, the act did not grant a right of access, it merely prohibited owners from keeping walkers off the land during daylight hours; the act only applied to mountain, moor, heath, down or cliff where there was an order for access, the process for achieving this was cumbersome, slow and expensive, and in certain circumstances trespass became a criminal offence, punishable by fine. Tom Stephenson, former secretary of the Ramblers’ Association (RA), wrote in detail about the 1939 act in his book Forbidden Land (Manchester University Press, 1989). He reported that there was ‘great joy and jubilation and an inexplicable optimism in the RA in November 1938 when it was learned that Arthur Creech Jones, the Labour MP for Shipley, was to introduce an Access to Mountains Bill’. The bill, as initially presented, was the same as that presented by James Bryce half a century earlier, giving the public the right of free access to uncultivated land, subject to provisions preventing abuse of the right. No owner or occupier of such uncultivated land was entitled to exclude or bar walkers. However, at the second-reading debate in the House of Commons in December 1938, it emerged in the response from the Under-Secretary at the Home Office, Geoffrey Lloyd (Conservative), that there had been negotiations between landowners’ representatives and the Commons, Open Spaces and Footpaths Preservation Society (as the OSS was then known). It was the first the RA’s leaders had heard of this. It turned out that Lawrence Chubb was working hard behind the scenes, in an unprincipled and toadying manner, to achieve an agreement with landowners. The House of Commons agreed to let the bill have second reading and to negotiate in committee. With Chubb actively involved, and to the dismay and anger of many ramblers, a number of draft bills then followed. The one that was pursued could hardly have been worse. It did not give public access to all uncultivated land but instead proposed an elaborate procedure for limited access to specific areas. What is more, a landowner could appeal to the Ministry of Agriculture for an order to restrict access and impose special conditions governing the access (for instance, for lambing, nesting or shooting) and it would be an offence, punishable by fine, for anyone to disregard such restrictions. Thus trespass would become a criminal offence. Unless one could prove that the trespass was unintentional, one could be fined merely for being on land. The RA agreed to oppose the bill. It went through committee in the House of Commons. At third reading Fred Marshall (Lab for Sheffield Brightside) tried to nullify the trespass clause by removing the word ‘unintentional’. Clement Atlee and 17 MPs who became ministers in his 1945 government supported the amendment but it was defeated by 86 votes to 70. The RA and sympathetic MPs lobbied the lords, making it clear that they would greatly prefer no bill to the one proposed. But the lords proceeded. The trespass clause was amended so that it would not apply automatically, only if it was stipulated in an access order or a subsequent amendment to an order, a small concession. The bill which became law on 1 Jan 1940 did not give a right of access, it merely prevented the owner and others from keeping walkers off the land to which the act applied. The access was given by order, made by the minister, on the application of the owner, local authority or ‘any organisation deemed by the minister sufficiently representative of the persons likely to be benefited by the application of this act to the land’. However, this access was only available during daylight hours; at night the ordinary law of trespass applied. There was a list of restrictions (similar to those in the 1949 act and the Countryside and Rights of Way Act 2000), breach of which were criminal offences. The statutory rules and orders which followed made it even worse. Anyone wanting access had to apply for an order on a prescribed form and pay £10. He also had to provide and pay for maps and advertisements. If there were objections, the applicant might have to pay for a public inquiry. If an order was made, the applicant had to erect notices and signs and maintain them. And if the ministry decided to close land, because of fire danger for instance, the applicant had to post notices. All this placed a wholly unreasonable burden on those seeking access, and the applicant might be an organisation such as the RA with very limited funds. The regime was unworkable and very nasty. Yet Chubb persisted in arguing that it was a good thing. In the Commons Society’s annual report for 1939 he wrote: ‘The chief event of the year was unquestionably the passing into law of the Access to Mountains Bill.’ He said that the bill was given second reading in the commons ‘in order to enable the society to negotiate the terms of a mutually-acceptable bill with the Central Landowners’ Association (now the CLA) and the Land Union and other bodies. The negotiations were carried on in the friendliest spirit, and the society desires to record its deep appreciation of the manner in which the representatives of the landowners endeavoured to reconcile its views with their natural desire to avoid any undue interference with private rights of property’. Thus Chubb showed his true colours. He went on to criticise ‘the small but active body of critics who persistently opposed the measure because it did not slavishly follow the impracticable scheme of the original bill’, and concluded ‘It is fortunate that the act completed its passage through parliament in time to escape the fate which befell many bills which were still in intermediate stages when the war broke out, and that when peace returns it will be possible to proceed immediately with its full application, as part of the social amelioration which must surely be one of the first objects of the peace.’ Fortunately, that ‘full application’ never occurred. The Countryside and Rights of Way Act 2000, with its imperfections and limited application, is undoubtedly far better than the Access to Mountains Act’s pernicious provisions. This entry was posted in Access, Open Spaces Society, parliament, Ramblers, walking and tagged access land, Access to Mountains Act 1939, landowners, open country, Open Spaces Society, Ramblers, right to roam, walking. Bookmark the permalink. “The bill which became law on 1 Jan 1940 did not give a right of access, it merely prevented the owner and others from keeping walkers off the land to which the act applied.” Nor did Part V of the National Parks and Access to the Countryside Act 1949: s.60(1) provides, in just the same way, that a person who enters access land “shall not be treated as a trespasser on that land or incur any other liability by reason only of so entering or being on the land”. True, but the 1949 act was not limited to daylight, and it was not a criminal offence to breach its restrictions (schedule 2). Thanks for this – It’s good to be reminded of the tortuous legislative path we’ve taken to get to this relatively, compared to Ireland, say point. The picture of Plynlimon reminds me of disgusting legislative shenanigans by Peter Walker esq preventing the formation of a central welsh NP – look at that area now I really could burst in to tears. 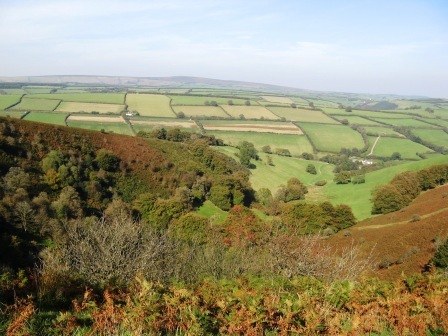 On a happier note I’ve just clocked your pic isn’t it off Dartmoor just below the Elephants Nest pub. Hi Rupert, do you mean the picture at the top of the blog? It’s the footpath by the leat between Horndon Clam and Hillbridge, at Common Wood (below the Elephant’s Nest, as you say) which I write about on my blog.